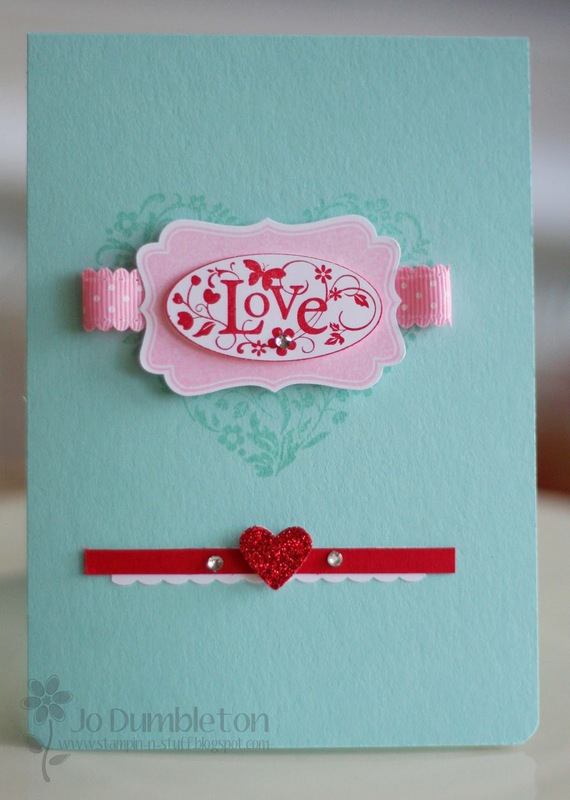 Another card made with 'You are Loved' set which is in the NEW Spring Mini. So, that's a quick card and it's a quick post to go with it! Beautiful Jobe, really gorgeous and may I say your blog is particuarly brilliant so much stuff to look at and handy hints about things. Fabulous. Really gorgeous card Jo. I love the colour combo too. Absolutely beautiful. Love the color combination.